Say what you will, Bush at his weakest hasn’t bottomed out quite so low as a sweaty war criminal tax cheat and the cardigan crazed man who lowered our thermometers. Nixon and Carter still beat out Bush in Presidential Unlovedness. Retire to the “ranch,” crank out the books and the path to redemption is clear. 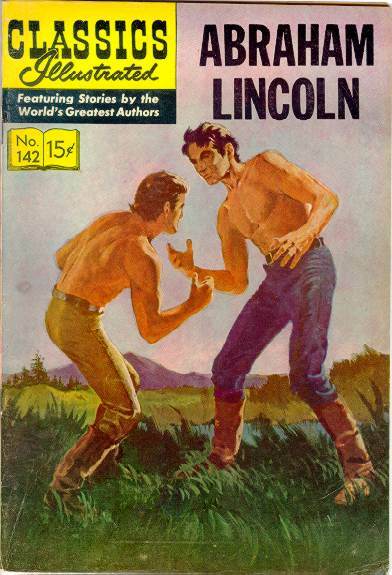 The Lincoln Library was billed as Disney on the prairie when it opened, and like the Magic Kingdom they’ve discovered the joys of copyright. 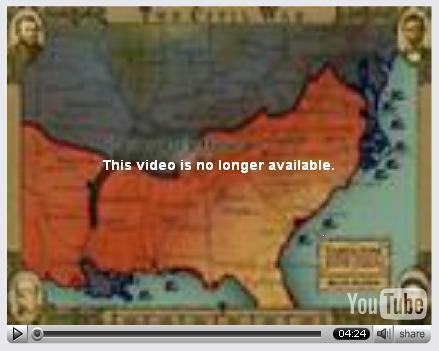 A video produced for the museum illustrating the course of the Civil War was briefly popular on YouTube, and you’d think they would be grateful for the attention. Instead they had it yanked. We are often told that like Presidents “growing in office,” presidential museums somehow worm their way from the grasp of the Ex and his followers and become almost real museums, splorin’ controversies ‘n such. Twenty five years on the Ford museum appears to be still at least holding hands with the past. With so little time in office, much of it cleaning up Nixon’s messes, the Ford administration seemed then and the museum now to grasp any chance to tell a nice story. So set aside the dead millions and the damaged survivors of Southeast Asia and recall a happy time, when Saigon fell but America saved the children! 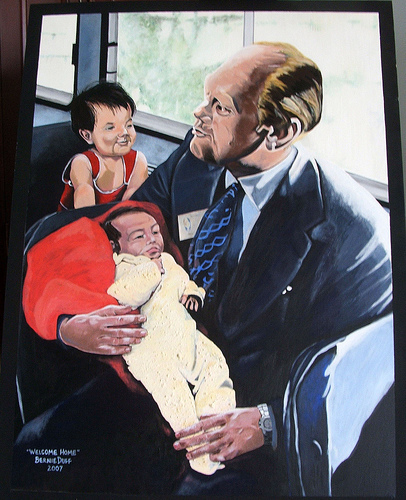 The museum is recalling 1975’s “Operation Baby Lift”, a project to withdraw Vietnamese orphans, or simply available children, from Saigon before it fell. The first flight crashed, killing hundreds of children and damaging survivors by oxygen deprivation in a plane never designed for carrying passengers. But hundreds of others were brought out. 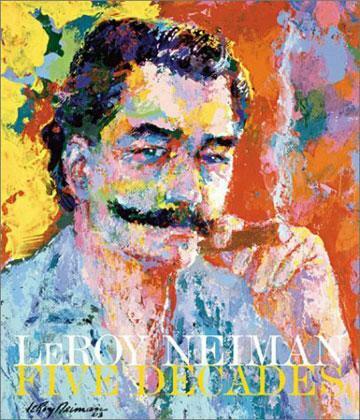 The effort was controversial at the time, but the museum is mounting a celebration. Other issues beckon. Henry Kissinger’s Ford funeral oration broke new ground in creative remembrance, claiming Ford “sparked the initiative to bring majority rule to southern Africa, a policy that was a major factor in ending colonialism there.” Others might recall that Ford and Kissinger’s effort to ally with South Africa in it’s Angola intervention was only prevented by the Democratic Congress blocking it. 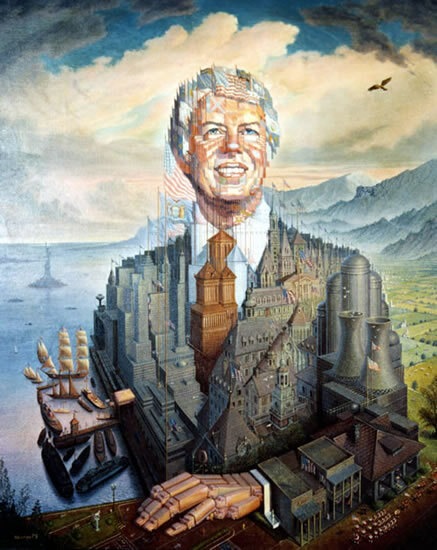 Twists remain in some quarters’ pants after Jimmy Carter’s botched critique of President Bush and his image abroad. 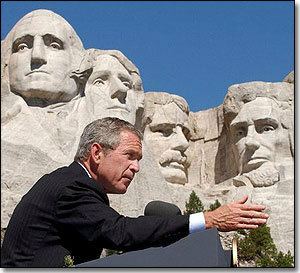 The former President ducked when confronted with blowback, but not before the great and the good, and others, were mobilized to comment on his comment. Then the reserve army of gasbaggery stepped forward to recall a more innocent time when saintly ex-office holders donned their togas solely for good. Others weren’t so sure.. The Lincoln Library has clearly run out of ideas on spending it’s spare cash. 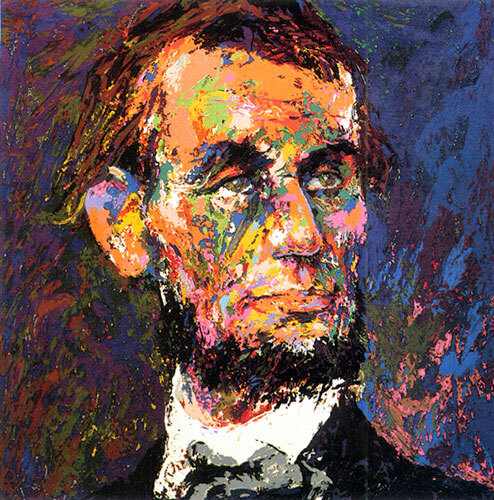 It’s latest acquisition is a likeness of Old Abe by renowned cheeseball artist and mustache enthusiast Leroy Neiman, purchased for $100,000. Neiman is not too proud to spare himself the same smeary treatment.